GUINNESS REF IN-BAR ACTIVATION OUTLETS. WIN PRIZES. 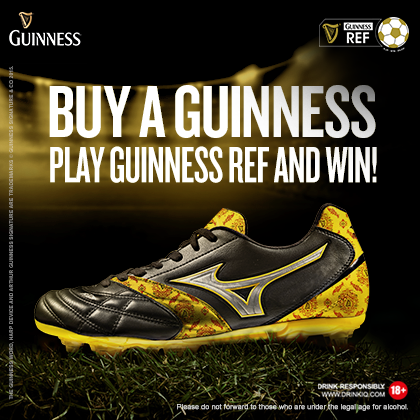 Buy a Guinness for you and a friend and play #GuinnessRef for a chance to win! Below are the bars where you can win instant prizes or an LED TV: http://on.fb.me/1zVwaOG.